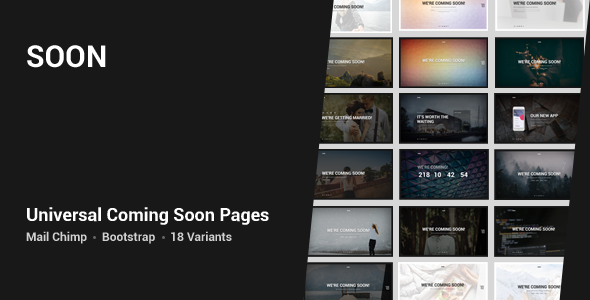 Soon is beautiful and universal coming soon template with 18 homepage variations and Mail Chimp integration. This includes dark and light version as well as different layouts – subscribe forms, count downs, buttons. Another great features are sections with About us, Portfolio/Works, Services and Contact with map.